Welcome to the official website of the "Rest Models" company! We produce high-quality scale models kits and scale figures. Our production made by "Resin-Kit" resin casting technology with supplement of photoetching, transparent parts, decals. We are looking for resellers, so please contact us if you are interested. Good luck and good models! Ruslan Bilyk, CEO of "Rest Models". 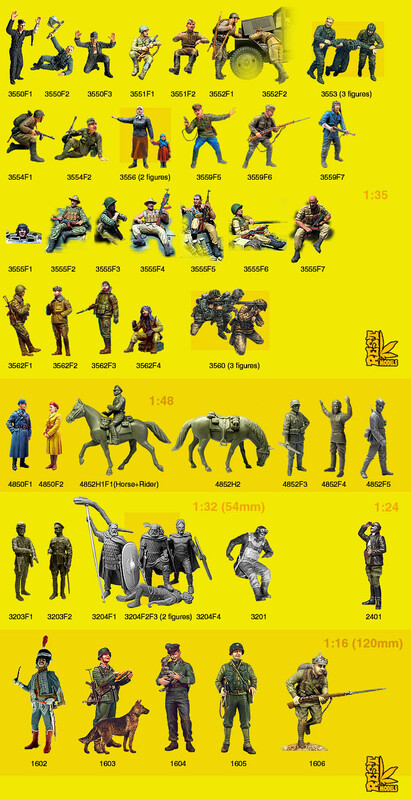 New in catalogue: Soviet Naval Infantry WWII. 5 resin figures 1:35 and "Maxim" machine gun plastic model kit. Limited series (80 units). 70 years ago, on 17 March 1944, the Soviet Army started the operation to release Crimea from Nazi Germans.